After suffering since the young age of 9 with hyper-chemical sensitivity to environmental toxins, I do believe that I and others with (MCS) Multiple Chemical Sensitivity, are like "toxin detectives". For instance, during outdoor activities or simply outside in my own yard, I sometimes have to 'change course' because the exposure to dryer sheet toxins or synthetic laundry fragrances wafting from a neighbors laundry vents can make me ill.
Fibromyalgia onset is fairly often preceded by a trauma to the body. Fibro flares are often triggered by "soft" traumas such as bright lights, loud noise, crowds, weather change, etc. Doesn't it follow that we shouldn't be surprised when environmental toxins constantly trigger our fibro symptoms? I believe this is true for fibro victims who cannot consciously detect these toxins or become overtly ill as I do because of my MCS. So, the third component of my protocol is Environmental Toxins. A toxic environment is a huge factor in both the development and worsening of all fibromyalgia symptoms. An essential key to living smarter with fibromyalgia is working to create a safe environment. This means the home that we live in, the office we work in and everything we put on our bodies. Remember that companies and products that cater to making your home or body look or smell nicer are NOT catering to YOUR good health. No, in fact they are doing great harm by including such toxic chemicals, fragrances and synthetics. 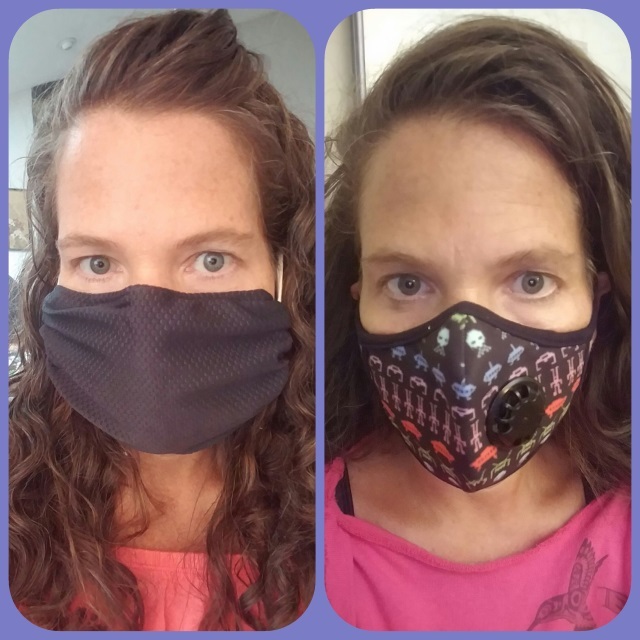 We all have some degree of chemical sensitivity but most people don't even notice it. Some even think the smell of laundry detergent on their clothes is nice. Whereas, in my case that is one of the worst offenders. And think about the great number of toxins we face everyday. I can usually handle a single exposure; but, multiple exposures can cause me to have lingering symptoms for days. What I'm saying is there is a toxic load effect, a threshold above which even your low level of chemical sensitivity will begin to affect your fibro symptoms. How many ingredients does YOUR body lotion or hair conditioner have in it? What about the new carpet recently installed in your home, or the air freshener at your office? Do you find that symptoms seem to wax and wane in accordance to your exposure to new materials, shopping malls, clothing stores and the like? Formaldehyde is just one of the carcinogenic chemicals that contributes to our toxic environment. Many people are exposed to it every day and don’t even know it. It’s often part of new car smell, new clothing, carpet, and body products. We have to be willing to make adjustments and not be so attached to things that can easily add to the complexity of our fibromyalgia symptoms. I recommend and use only the most natural products. 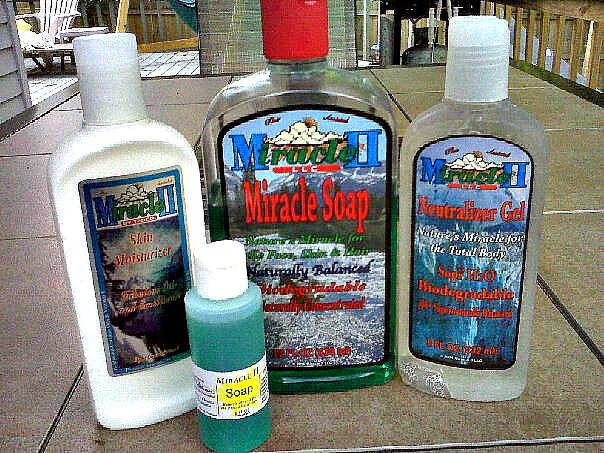 There are many more non toxic products on the market today, from scent free laundry soap to my favorite body lotion from Miracle II (shown here) Nothing has more than 4-5 natural ingredients. M2 supports an alkaline body when used in place of conventional soap and body products...and is cost effective as well, each 32 oz. bottle will last 4-6 months with dilution. There are more companies supplying safe products but not all claims are true so whatever you choose to put on your body, be sure it is truly non toxic. Our world and environment is more complex and toxic than ever. There are simply things that we cannot control. Therefore we must make every effort to control our own space and the environments in which we reside. Family members need to also be onboard in the efforts to maintain a healthy, non-toxic environment. If your teenage son is insistent on wearing cologne or other toxic fragrances, it might be time for an intervention of sorts to get everybody on the same page. It is essential that family members understand the need for safe surroundings. If they want us feeling our best, they will make every effort to understand in the name of respect. It does not matter if your spouse or child does not ‘get it’. The important thing is that they are willing to support by making a few minor sacrifices. Yes, it is MINOR in comparison to living with fibromyalgia and the propensity towards increase of symptoms due to chemical sensitivity and synthetic fragrance exposures. For more information on how chemical sensitivity exacerbates anxiety like symptoms within the fibro body, please visit Fibromyalgia and Chemical Anxiety. Often times, ‘living smarter’ is simply living lighter, free from the toxic load that only exacerbates and drives our symptoms to intolerable levels and act as Endocrine Disruptors. A tool I highly recommend is use of a Vog Mask to avoid MCS exposures when out and about in public. These masks have been continually improved (functionally & style) and now Amazon offers an extensive line which you can see here, Vog Mask.